An oxoacid is a type of acid that contains oxygen bonded to hydrogen and another element. This chemistry example problem explains how to identify the strongest acid from a list of oxoacids, also known as oxyacids. Or are all of these acids are equally strong? 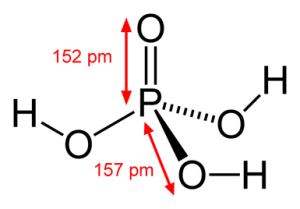 In this problem, all of the acids contain the same central atom, a chlorine atom. When the central atom is the same, but the acids contain different numbers of oxygen atoms, the strength of the acid increases with increasing numbers of oxygen atoms. This problem lists acids in order of decreasing acidity. The strongest acid in this list is HClO4.